The local currency taka eased against UK pound and Euro, while it remained unchanged against US dollar in the inter-bank money market on Thursday. 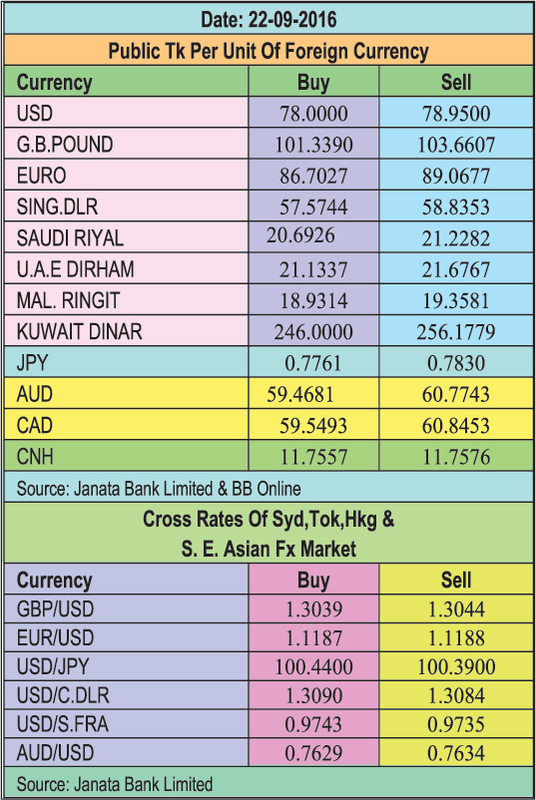 UK pound was traded between Tk 101.34 and Tk 103.66 on Thursday against Tk 100.84 and Tk 103.17 on Wednesday. Euro was traded between Tk 86.70 and Tk 89.07 on Thursday against Tk 86.39 and Tk 88.78 on Wednesday. The US dollar was traded between Tk 78.00 and Tk 78.95 on the day.